There is a singular charm to the sincerity with which the Mennonites sing this old hymn, just as it was sung 100 years ago. 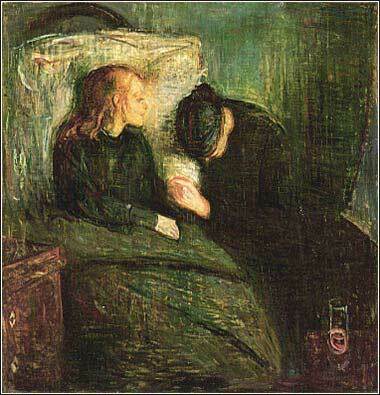 The Sick Child, by Edvard Munch, 1896. In this touching painting by Norwegian master Edvard Munch, a dying child looks peacefully into the light of salvation, as her grieving mother prays for her. What will the universe be like in ten thousand or a million years? Or a billion years? We live in a tiny sliver of time, our reality and daily expectations just a miniscule chapter, compared to all that has been and will be. John the Divine here tells us that, at some time after the earth has died, humanity will still exist on a planet (or at least in a place) with no sea, with no sun or moon and no day or night, and that God Himself will come to live among men. And there will be no mourning, or crying, or pain. 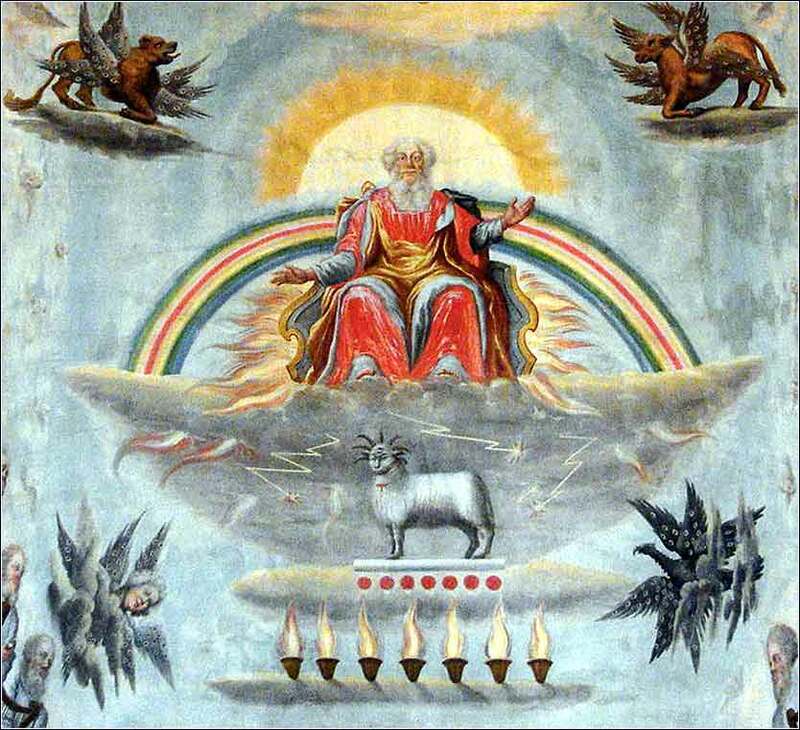 John's view of the existence of the faithful after Judgment Day — his view of life in “heaven” — is different from most people's vague concept of living in an amorphous spiritual plane. It is more like a return to the Garden of Eden. God might well create a new and different universe, changing the laws of physics. It is interesting to speculate on it, but the one thing we do know is that John’s divinely inspired vision has us living in a concrete environment with a city, the New Jerusalem, rather than floating around in space. He also speaks of a heaven as still existing, which would seem to be a sky, as we would call it. Here, at the very end of the Bible, just as at the very beginning of Genesis, words such as “the waters” and “the heavens” have a meaning that we might not fully understand. The word “heaven” we use to signify the resting place of saved souls is very different from the word “heavens” used in Genesis and Revelation, and causes enormous confusion. What many people conceive as “heaven” — a place existing somewhere in the heavens where our spirit will go after our death — would seem to be incorrect. God will create a new place for us after Judgment Day with some similarity to the earth as it now exists. How much good it does us, to know all this, is hard to say; but it is comforting beyond measure to know that God's plan includes a world without pain. However one might interpret the Book of Revelation, certainly God made this world, and just as certainly, He will make a new one for us to live in. All of us suffer, and other people have problems and pains as bad as our own; but there will come a day when all of this passes and God will wipe our tears and pain away.